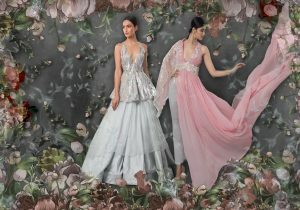 Every little girls dreams of her wedding day, but only girls with desi weddings get to choose from such an amazing array of couture garments. We loved the style choices of these brides. Bride Sachee combines traditional red with her own passion for pink. The outcome is an elegant gold embossed garment, accented with traditional indian jewelry. 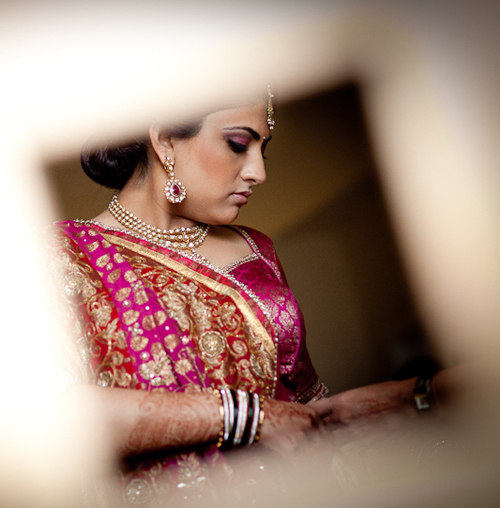 Sachee and Abhishek’s Wedding, Courtesy of Brandon Wong Photography. Bride Bhumica captured our hearts with her effortless style. We loved her retro hair bump combined with the traditional prints of her lehenga. She looks like a mid-century dream. Bhumica and Jasmin’s Wedding, Courtesy of SamsonPro. Bride Sheila knows the impact of contrast. The royal blue blouse sets off the traditional red skirt. The fabrics areÂ opulentÂ without being what we like to call, “sequin vomit.” Sheila and Paras’s Wedding, Courtesy ofÂ Studio 9. 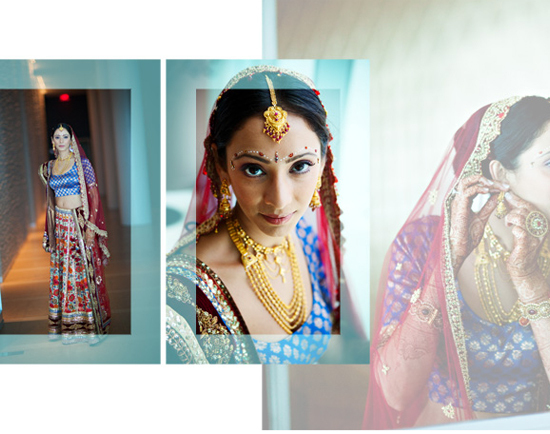 Bride Ekta combined fun modern polka dots with traditional South Asian design. Any bride that can find a way to include polka dots into her garment, wins points with us! Ekta and Jonathon’s Wedding, Courtesy of AACreations. Bride Aishwarya is not afraid to bring black into her color scheme. The elegant combination of black velvet with thick gold embroidery, looks absolutely beautiful against the royal blue garment. 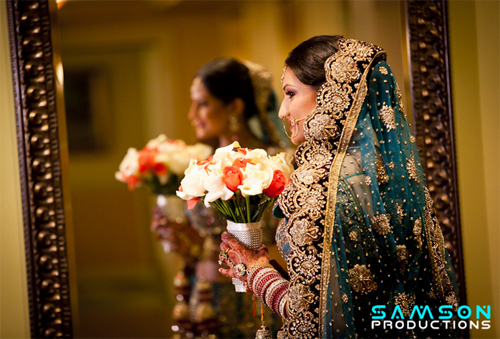 Arun and Aishwarya’s Wedding, Courtesy of SamsonPro. 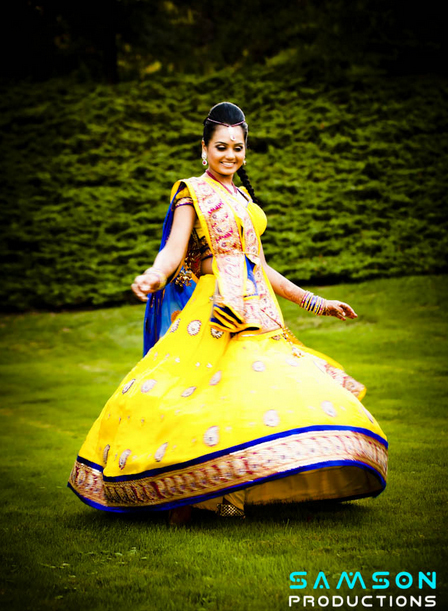 Bride Payal does not sacrifice her personality for tradition. 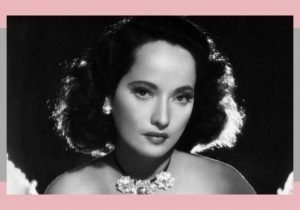 We love how she incorporated a single flower into her look. 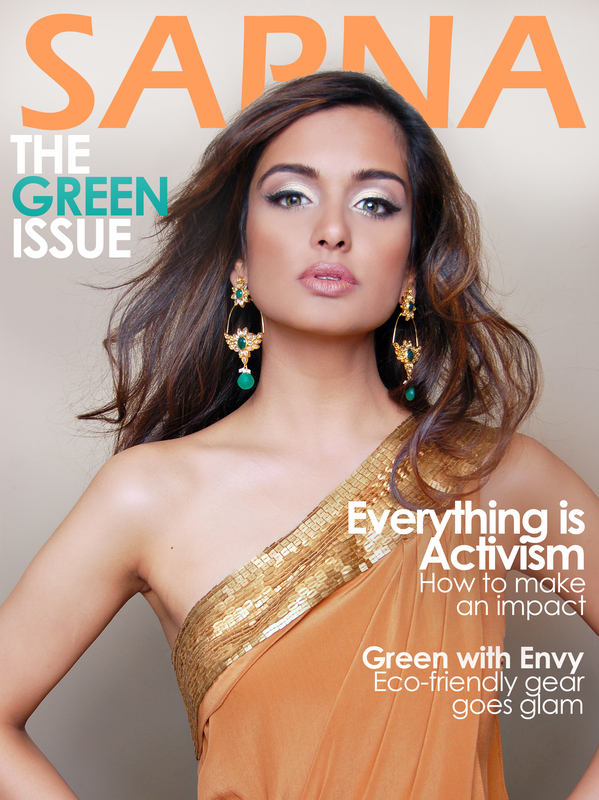 Also, the lehenga sari is an incredible color combination, which will also keep her comfortable all night. 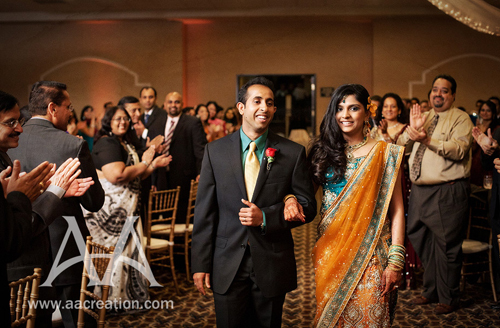 Payal and Nirmit’s Wedding, Courtesy of AACreations. 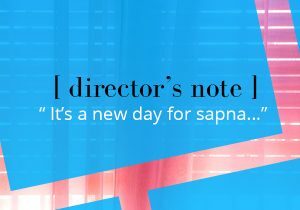 Mariam Kamal is the Co-Founder and original Creative Director for SAPNA Magazine.